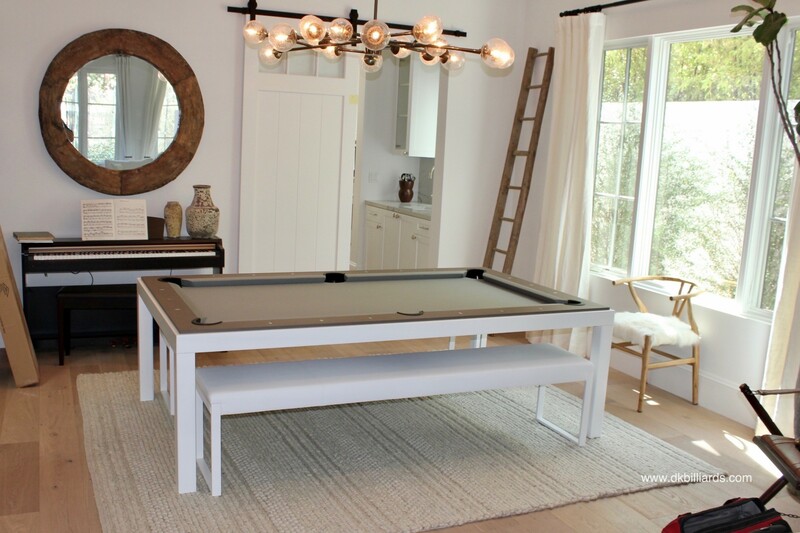 This awesome white Aramith FusionTable recently landed in Brentwood, California. 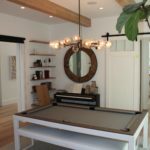 The steel frame has a white powder coat finish and the rails and dining tops are grey oak. 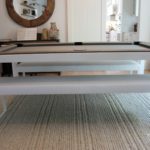 Simonis cloth in grey gives the table an almost colorless palette. It’s modern and rustic, perfect for this family home. The Fusion features an authentic slate playing surface, along with high quality cushions and cloth, making entertaining a breeze. 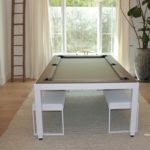 Drop the billiard table to dining height in seconds using the lift lock mechanism. 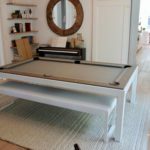 Place the three-piece dining leaves on top to instantly hide all evidence of your eight ball game. 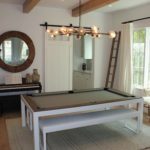 Our customers chose matching white steel, white cushion benches (sold separately) to complete their dining/game room. Different steel finishes, wood tops and accessories are available for this model. 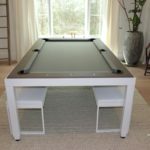 Visit our showroom or call for more information about this ultra-modern hard working pool table.